Editor’s Note: This story was originally published in 2010, the year often referenced as the centennial of the first celebration of Father’s Day. Information regarding the centennial has been updated to reflect this. 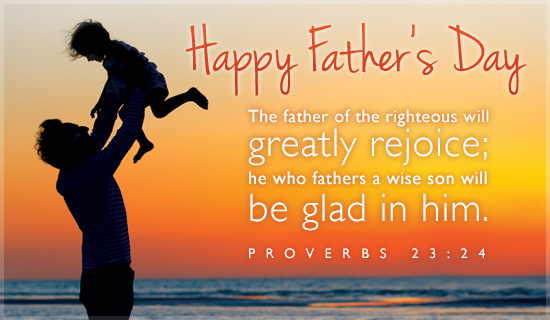 To all you dads out there: While you’re relaxing in your recliner and watching sports on June 21, and your kids are on their best behavior to honor Father’s Day, don’t forget to thank a United Methodist. That’s right. Not one, but two United Methodist churches with the same name, oddly enough can lay claim to originating the celebration of all things paternal. In 1909 in Spokane, Wash., Sonora Smart Dodd listened to a Mother’s Day sermon at Central Methodist Episcopal Church. Dodd’s own mother had died 11 years earlier, and her father had raised their six children alone. Dodd felt moved to honor her father, and fathers everywhere, with a special day as well. She proposed her idea to local religious leaders, and gained wide acceptance. June 19, 1910, was designated as the first Father’s Day, and sermons honoring fathers were presented throughout the city. When newspapers across the country carried the story about Spokane’s observance, the popularity of Father’s Day spread. Several presidents declared it a holiday, and in 1972, Richard Nixon established it as the third Sunday in June. Dodd’s pivotal role in the creation of a national Father’s Day celebration was recognized in 1943 with a luncheon in her honor in New York City. Central Methodist Episcopal is now known as Central United Methodist, and holds a Father’s Day service every year. On July 5, 1908, a Father’s Day sermon was preached at Williams Memorial Methodist Episcopal Church, South, now Central United Methodist Church, Fairmont, W.Va. If you thought you celebrated the centennial of Father’s Day in 2010, you were actually two years too late. You see, the year Spokane was observing its first Father’s Day, almost 2,000 miles away in Fairmont, W.Va., another Methodist church was on its third. On July 5, 1908, a Father’s Day sermon was preached at Williams Memorial Methodist Episcopal Church, South, thanks to the efforts of Grace Golden Clayton. Clayton was distraught by the thought of all those children growing up without a father’s guidance, and wanted to do something to honor the importance of fatherhood. 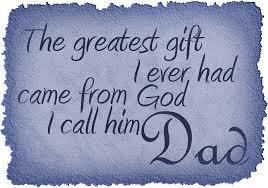 She asked her pastor to set aside a special day to commemorate fathers. She chose the Sunday closest to the birthday of her late father, also a Methodist preacher. “We don’t claim popularizing the day, but we have proof we were the first to have a church service,” said the Rev. D.D. Meighen, retired pastor of the Fairmont church, which is now also known as Central United Methodist. Seriously, what are the odds of that? Meighen said two news-making events happened on July 4, 1908, that stole the thunder from their Father’s Day service. 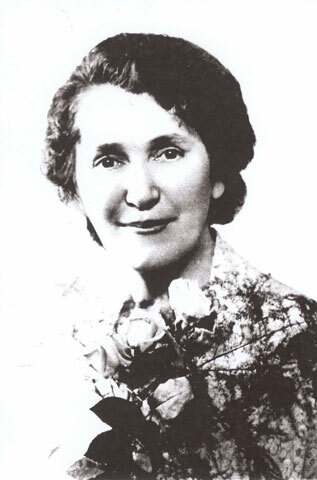 Sonora Smart Dodd is known as the mother of Father’s Day. Photo courtesy of the Spokane Regional Convention and Visitors Bureau. On that Saturday, Fairmont held its largest 4th of July celebration to date. 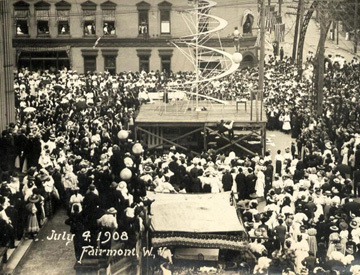 A large crowd watched a “dare-devil” roll atop a ball to the top of the bank building on a spiral stairway. It made all the news. People talked about it for days. Coincidentally, the first Mother’s Day was observed on May 10, 1908, at Andrews Methodist Church in Grafton, W.Va. So enjoy firing up that grill and napping in the hammock, dads everywhere. You’ve earned it, and the United Methodists have your back. And when your kids give you yet another gruesomely ugly tie as a gift… well, we’re pretty sure the Lutherans are behind that. *Butler is a media producer and editor for United Methodist Communications, Nashville, Tenn. He’ll celebrate Father’s Day this year as he usually does: calling his dad and talking about the U.S Open golf tournament.